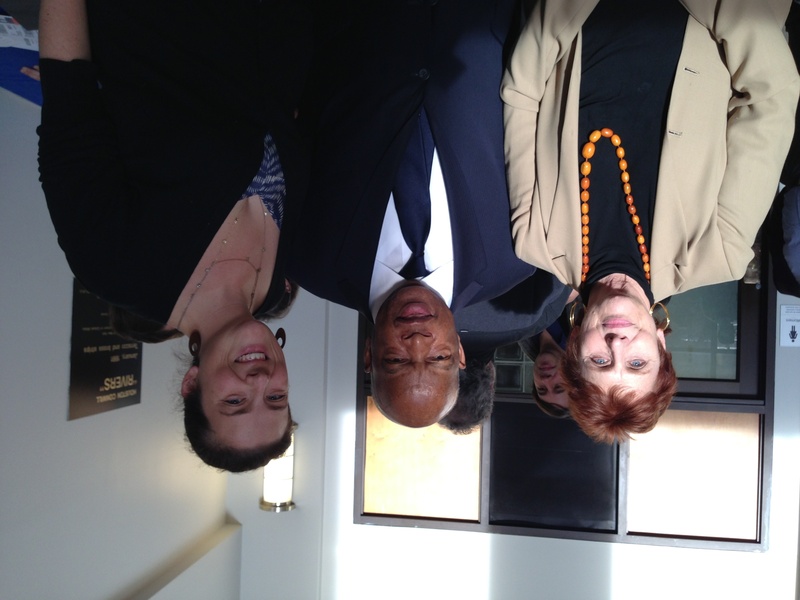 Chisholm Project Director Barbara Winslow and Project Videographer Samantha Winslow with Congressmen John Lewis. Lewis had been honored by the Andrew Goodman Foundation Lifetime Achievement Award. Lewis knew Chisholm after she had left Congress, and admired her work as a legislator. Lewis' courage as a civil rights activist helped pave the way for the Shirley Chisholms, Barbara Lees and all those progressive legislators fighting for the right to vote and for social justice. It was a honor to be at the event.